Police training before G20 finance ministers summit in Cairns. 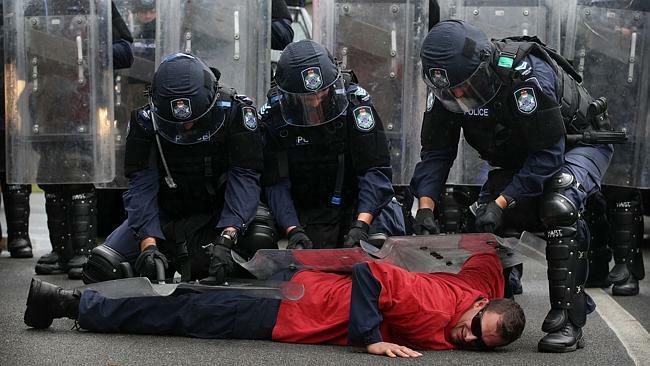 Ordinary citizens and peaceful protesters who do not understand the depth of special police powers during the G20 summit in Brisbane risk being caught up in mass arrests, the Queensland Council for Civil Liberties (QCCL) has warned. Police will have unusual powers, including the right to demand identification and search people without cause for suspicion, under special legislation covering most of inner city Brisbane during the event in mid-November. QCCL president Michael Cope said the council was concerned that while media attention is focused on the spectre of violent protests from anarchist groups, there was little publicity around the police powers. He said this could lead to a repeat of the G20 summit in Toronto in 2010, where simple non-compliance with those extraordinary powers was a factor contributing to the 1,100 arrests made. “One of the reasons for the many arrests in Toronto is that people didn’t know the full extent of police powers and as a result many people assuming the police still had their ordinary powers refused to comply,” he said. Assistant police commissioner Katarina Carroll was reported in the Courier-Mail as saying officers would “take swift and decisive action, should anyone damage public or private property, or violence is incited within a protest environment”. In the following video, Ethan Nash speaks about the upcoming G20 Summit in Brisbane and some of the draconian laws that have been set in place, and also speaks of a number of other issues including the VLAD laws, anti-terrorism legislation and more! 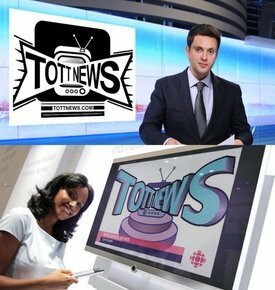 TOTT NEWS WILL BE COVERING THE G20 SUMMIT IN BRISBANE, AND WE WILL HAVE EXCLUSIVE FOOTAGE FROM ALL THE PROTESTS, COMMUNITY GATHERINGS, WORKSHOPS AND MORE!